Wouldn’t you like to organize your basement once and for all? For over 25 years customers have trusted Bob and his team to handle their irrigation, outdoor lighting and landscaping lighting needs. Now Bob Carr and his dedicated, talented staff are bringing this same expertise and excellent customer service to the ‘garage organization’ business with their new company TLC Garage Works, Inc.
Professionally designed – our consultants will design your basement to best meet your requirements and your desires. Versatile – your basement storage needs are likely to change over time. Our basement storage solutions are versatile enough to change and grow with you. Safe – no more tripping over ski boots or catching your sleeve on the rake. Locks and proper positioning of basement storage cabinets, bins and basement shelving keep the garage safe for kids and pets as well. Why spend one more day losing the battle to clutter in your garage? Let TLC Garage Works, Inc provide you with the basement storage organization solution that’s right for you! 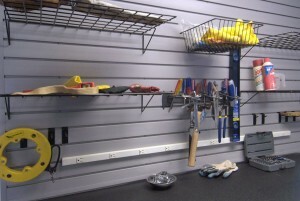 Ask Us About Our Garage Organization Services!